Best contractors I’ve worked with—ever! Very professional and courteous. Best contractors I’ve worked with—ever! Thank you for the great review, Vickie! Very professional. Thanks for staying longer to make sure it was done right. Thank you for the review, Angela! Jared and Ed were wonderful. They made time to answer questions and explain all work done. They were very professional, friendly and courteous. We really appreciate your timing coming to Casper in December and getting to work to return our house to us. It's really great to have function doors again! Thanks! Thank you so much Erv & Bev! This is a team you can count on! We contracted Rapid Foundation Repair to do some home improvement work for us this summer. Nathan, Adam and their entire team performed outstanding work with great attention to detail. They installed drain tile, pulled-back on a foundation wall, as well as installed two egress windows. We were extremely happy with their work: the pricing was extremely fair, continual communication/update of scheduling, excellent craftsmanship – plus cleanup was stellar! We could not recommend this company more highly. Couldn't ask for better people!! Very nice to work with, friendly. Rapid Foundation Repair definitely knows customer service. Very pleased with the foundation repair work done on my home. 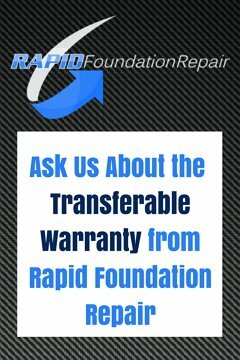 I would definitely recommend Rapid Foundation Repair.